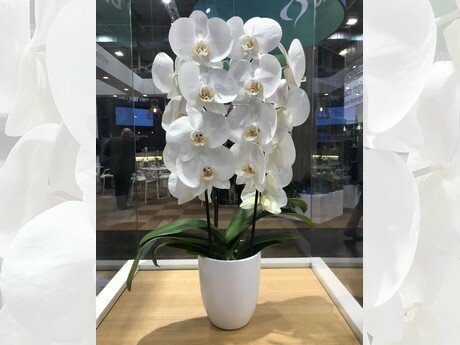 Floricultura launched the Phalaenopsis Elastica series at the IPM trade fair in Essen. It is a series of unique varieties; plants that are extremely suitable for creative applications such as cascades, arch shapes, mirror compositions and other elastic applications. The launch of Phalaenopsis Elastica also saw the expansion of the series with the Road Trip variety. This is a classic cascade type with very supple stems and a flower size of 11 cm. Elastica stands for the flexibility, freedom and pliability of this series of Phalaenopsis varieties. It was developed to promote creativity. The names of all future varieties to fall under the Elastica series will bear a reference to this freedom and flexibility. Some time ago, Floricultura also introduced the Lingua series, which is composed of highly distinctive Big Lip Phalaenopsis plants.